Justyna: It's the second week in a row when I can't help but highlight a scene where Gary shares his true feelings with his friends. But if last week's speech was hard to hear, this one turned out to be even more painful and emotional than expected. After Delilah reaches out to Gary and tells him it's okay to be angry, he finally expresses all his feelings about Jon's death. It's the 1st anniversary of his remission and all that Gary can think about is just how hard Jon was fighting for him to live, spending time with him during his treatments, repeating that he's going to win against cancer, offering hope and making plans for them in the future. Plans that never came to pass. Gary's grateful to his friends for showing up on this day to celebrate with him (I loved his little thank you to Katherine in the middle of the speech) but above all he feels angry, angry at Jon for not being there anymore. In his anger Gary destroys the painting that Jon once gave to him, a symbol of their plans that seem so stupid in perspective but truly meant something to Gary, even if he couldn't admit that before. That's when he breaks down in tears and his friends embrace him to support him in this grief. Everyone's reactions during his speech are so powerful and the actors did a wonderful job portraying all these complicated emotions. 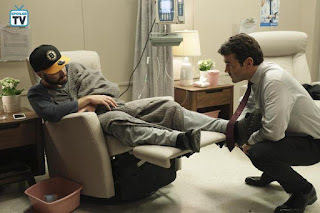 A special shout-out to James Roday who continues to steal the show for me and gave a beautiful performance during the scene and the episode. Very memorable moment and it appears that it might have also been a turning point for Maggie. Can't wait to see the next chapter of this story. Kudos! Mads: It's not that I wanted to see these two fight, they're one of my favorite relationships on the show, but it was inevitable. What with Olivia sleeping with Asher and Leila kissing Spencer knowing Olivia had feelings for him, there's been some hurt feelings here brewing for a while. It's better they hash it out now. Both actresses were so phenomenal in this heartbreaking scene I couldn't look away. I just hope they can mend fences after this somehow. Although I definitely wish they would have had the chance to deal with this on their own terms and not because a drunken Asher got on stage and told the whole world their secrets. 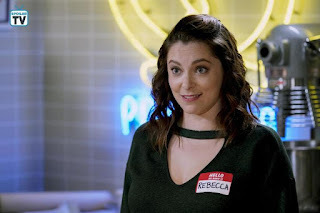 CRAZY EX-GIRLFRIEND, "I'm Not The Person I Used To Be", December 7, 2018, Actors: Rachel Bloom, Skylar Astin, The Scene: Rebecca and Greg sing "Hello, Nice to Meet You"
Luana: I was so weirded out when they announced this recast, I absolutely love Santino Fontana and he was perfect as Greg, but to my surprise the way they went about it was great, and this song was amazing, as was the chemistry between the two actors. This just made me realize how much I love the character even when it's not played by the same person. The song was quirky and it embodied perfectly the weirdness of them beginning again after all they've been through, and it's a lot. Claire: The scene where Avery realizes that he can’t compromise himself or his integrity for the WOLF network when they want him to read propaganda on the air; just as a lot of FOX owned stations are pushing their on air talent to do, currently. This show is beautifully done and keeping me sane in these difficult political times. Also loved how the show promoted adoption of pets over buying: ADOPT, don’t shop! And little Benny Brown is adorable. 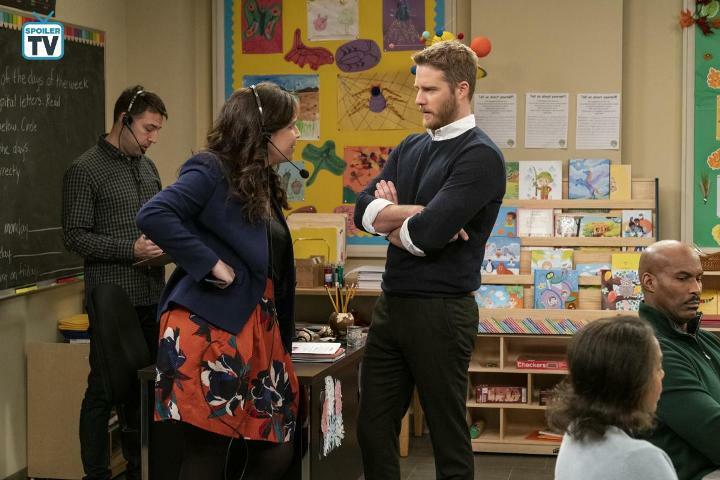 Jake McDorman is hitting his mark every week as Avery Brown. Julia: It was just amazing when Avery stood up to the wolf network on live TV! His little speech was top notch! 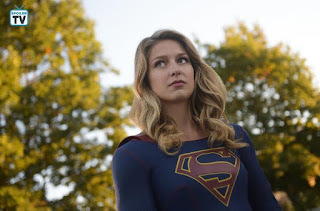 DJRiter: President Baxter's demand that Supergirl reveals her secret identity and then relieving her of her duties with the DEO after she refuses to has not endeared him to Supergirl fans. His actions seem to indicate more&more that he is a supporter of the Children of Liberty and Agent Liberty. This was a powerful scene in the episode and Melissa Benoist excelled at showing Supergirl’s pain and disappointment at being attacked and abandoned by an administration and country she has fought so hard to protect. Every ounce of her pain and disappointment showed on her face and her nonverbal communication with Alex (Chyler Leigh) was as always amazing. She brought us to tears with the crack in her voice and tears in her eyes and she told her sister to protect the DEO and all it stood for before flying away. Supergirl’s departure from the DEO sets up an intriguing dynamic when the show returns in January. 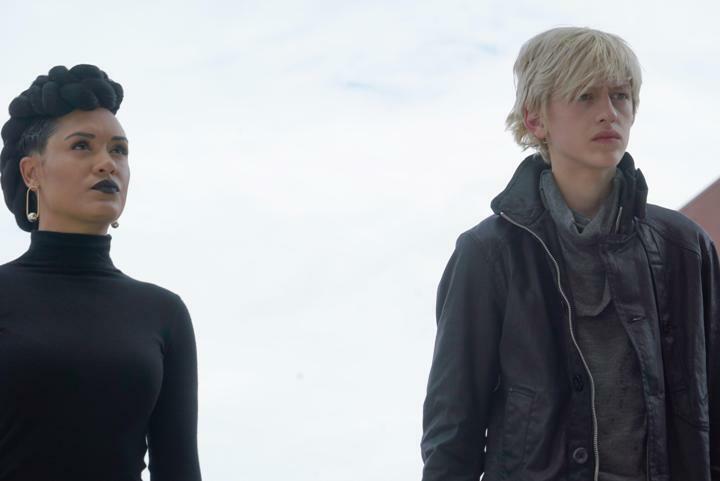 Will Alex follow her out of the DEO or stay and fight because her sister asked her two? It would be interesting to watch Supergirl and Alex join forces with J’onn J’onzz to protect Earth without government restraints. Justyna: This show can be a hit or miss for me but I've been really enjoying "Young Sheldon" recently which made this scene all the more powerful in my eyes. We know that Sheldon's dad has been dead for a long time now and since they were always very different people their relationship wasn't the greatest. We've been learning more of their story on the other show but never really took time to explore that history on TBBT. This episode felt different. Sheldon is going through a painful experience and questioning all his choices, and no one has been able to really help him deal with the loss despite their best efforts. That's when he finds an old videotape with his father's speech, back from when he was working as a coach and his team was losing a game. Sheldon manages to find a new meaning in his father's words and discovers an unexpected similarity between them, for the first time seeing his dad from a different perspective and realizing their lives might not have been as asymmetrical as he believed. With Amy's help, he also decides to keep working on their theory, or rather a much improved version of it. The scene ends with Sheldon's words: "Thanks, Dad. We're gonna give them hell." It looks like he's almost on the verge of tears but he carries on, now with a new strength and hope, thanks to someone long gone but never truly forgotten. Beautiful moment, definitely more emotional than expected. Kudos to cast & crew for their great work. 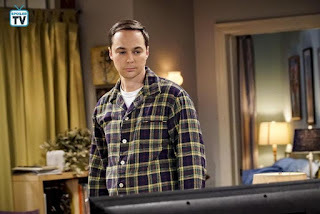 Claire: Sheldon is still devastated over his and Amy’s failed hypothesis when he decides to ‘listen’ to young Sheldon. He had videotaped his younger self with helpful advice. But he is devastated to find that his late father had taped a football game over it. While watching the tape Sheldon and Amy listen to an encouraging speech George had given to his players. 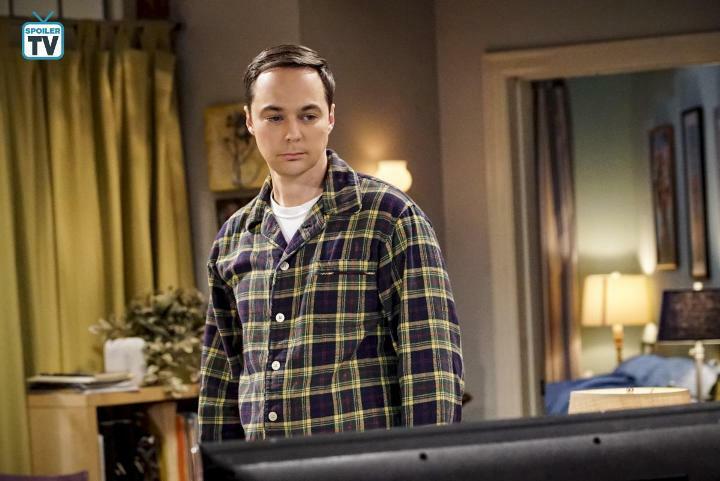 Sheldon is moved by his father’s words and it makes him realize that they did have more in common than he ever thought. It was quite touching. He and Amy also decide to keep working on their theory. These two shows complement each other beautifully and I love the ‘time travel’ involved. Justyna: I've been thinking about choosing a scene from this 100th episode of The Flash and I couldn't quite decide between all the memorable moments in this hour. I really like the main concept for this celebration, travelling back in time to see the best/worst of times for Team Flash and all the villains they fought so hard to defeat. Any interaction between Barry and Eobard Thawne is always quite something to see, and considering the end reveal it looks like Reverse Flash might become an important part of the future episodes as well. 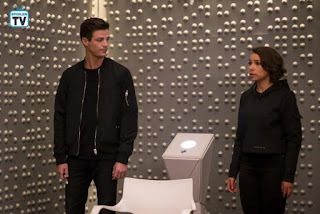 I also really enjoyed the more emotional aspects of the hour (the flashback to the particle accelerator explosion or the visit to Barry's parents) and Killer Frost's rescue but in the end I decided to highlight the most shocking part of the episode for me - Zoom finding Barry and Nora. Even though I suspected that someone might notice their visit I did not see this one coming. Zoom has always seemed like the most terrifying of The Flash's foes to me, mainly due to his devastating attack back in "Enter Zoom", so him encountering Barry and Nora was the worst thing that could have happened. It's a brief interaction but it's a moment that could have destroyed everything and reminded the viewers of the real danger of this plan, just when things were going exactly as expected. Great to see Teddy Sears once more. Also, considering that a Time Wraith took this Zoom, is there a chance for the Black Flash to reappear somewhere in the future? Kudos to the team responsible for the special effects on the show, the part with Zoom chasing Flash and XS through the city and the Speed Force was really well done. 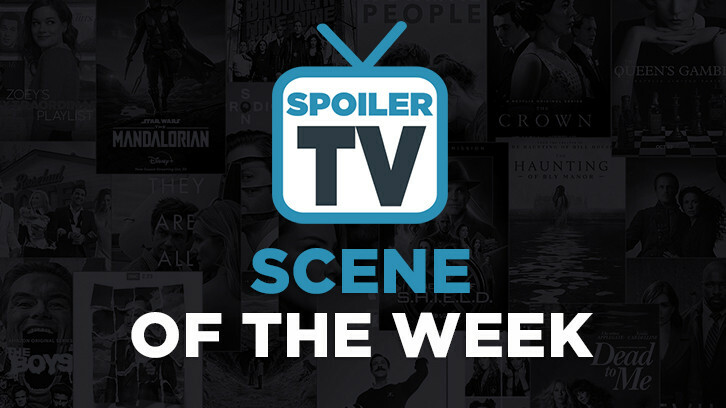 Thank you to the cast & crew for all their work on these 100 episodes and more memorable scenes than we could ever mention in these articles. Here's to many more! 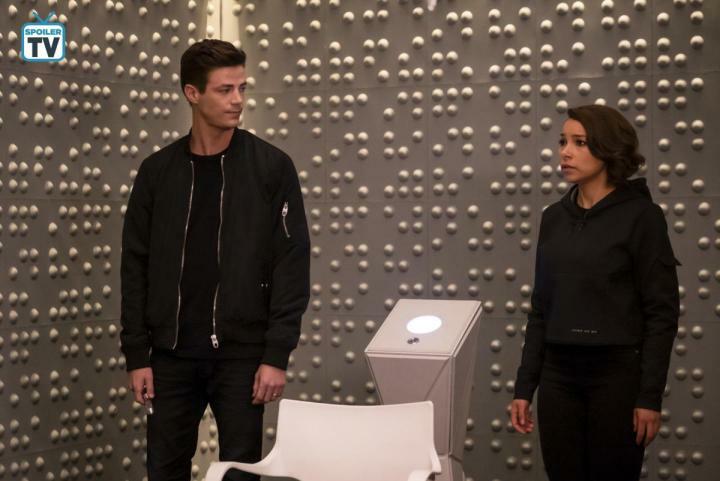 Naomi: Barry and Nora have to ask Eobard Thawne for help. In a very tense scene, Barry has to once again ask his greatest enemy to help him. Though he has to endure Thawne's taunts, Barry is able to hold his own and forces the Reverese Flash to fix the tech they need to defeat Cicada. Mads: Lorna and Andy destroy the technology controlling mutant collars around the world. Well they titled this episode "gaMe changer" for a reason and I can't think of one much bigger than the Inner Circle succeeding in their plans to deactivate mutant control collars all over the country - and presumably the world? I'm not sure how I feel about the consequences of this as I assume they've unleashed lots of deadly mutants, however, I'm sure they've also released tons more wrongfully imprisoned mutants. 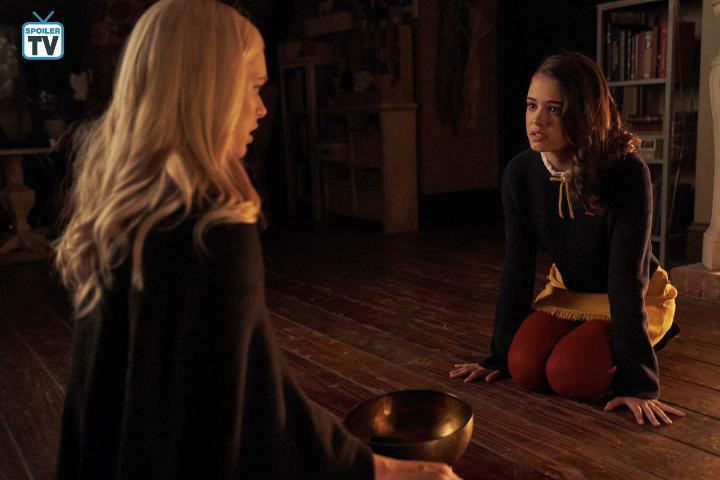 Either way, it's an excellent twist from the writers and will give them plenty to explore in the second half of the season. Claire: Mike coming to the realization that Peggy should be in control of her own body was a stunning scene. I grew up in the 70’s and am especially liking this show. Michael Cudlitz and Mary McCormack have great chemistry as the dad and mom and the show is very true to the reality of the 1970’s. 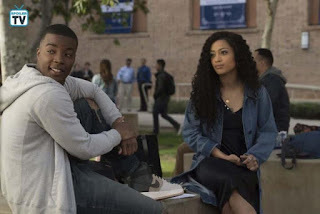 Klutzy girl: After Mike and Peggy realize they don't want more kids and are thinking about taking steps to prevent pregnancy, he tells her it's not up to him about the decision, it's up to her. The fact that a devout Catholic in the '70s knew that his wife could make her own decisions about her body was a bit surprising but thrilled me, and made me love Mike even more. The Clearys are a fun, wonderful family. Luana: For some reason I always forget how funny and fast-paced this show is, and every time Midge performs is mesmerizing, but I particularly loved how she took on these men who were sticking around just to see a female comedian fail. She was hilarious and mean, but they totally deserved it. Rachel Brosnahan is absolutely perfect in every scene.